Bookle | Mac App Storeのアプリ検索・ランキング BuzzMac! This will be the last version of Bookle. 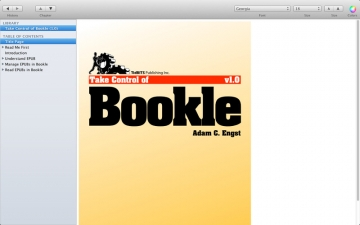 With the inclusion of iBooks in the upcoming release of Mac OS X, Bookle will continue to work, but has no real future. This version acknowledges this and offers discounts on other products as a thank you for past support of Bookle. Since we cannot respond to comments here, please leave suggestions in our UserVoice forum at http://bookle.uservoice.com/ and ask us questions by using the Bookle Support link to the right. We respond to everything that we receive outside of the Mac App Store. 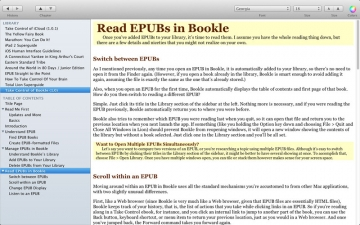 Bookle works under either Mac OS 10.7 Lion or 10.6 Snow Leopard.